People are happy to employ personal trainers for their fitness, or to become more proficient at their sport. Basically, I am a personal trainer for the mind with quicker and longer lasting results than a series of workouts. I am a trained Hypnotherapist, Life Coach and a Master Practitioner in NLP and Time Line Therapy™. I love helping people to achieve their goals enabling them to shine and succeed. With over 20 years’ experience in managing, coaching and mentoring people I absolutely practise what I preach. I wholeheartedly believe that everyone has the resources and answers to achieve their own personal resolution within themselves. I am the pleasant conduit to that self-discovery. 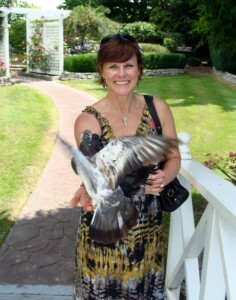 I am a trainer with the NZ School of Professional Hypnotherapy sharing my passion for hypnosis and NLP. I am also the Lead Trainer for our 5 Day Breakthrough Life Coaching with the NZ School of Life Coaching. When you choose me as your guide to change.. I know you will find me compassionate and empathetic focused on helping you to achieve what you desire; after all life is for living. At times I will challenge your thinking. I will encourage you to be curious about where you are at in this point in time, identify the “where to from here”, and then together, explore and set upon a new direction for life fulfillment. Be prepared for some simple home play – while I am 100% dedicated to your development; you are 100% responsible for the results you attain. If you want to make a change, take life to a whole new level and really get the most out of each 24 hours of every day then get in touch. I enjoy being active and feeling exhilarated. I make sure I have fun and laugh everyday. I love challenging myself and setting goals that require discipline to achieve – no I don’t think I am particularly disciplined; this is part of the challenge! My two rescue dogs Jake and Haesel are an integral part of my day. I enjoy sewing, gardening, fishing and of course spending time with family. Sally Koch said “great opportunities to help others seldom come, but small ones surround us every day” so acts of kindness and philanthropy are important to me. Each year I contribute financially to charity and offering my professional services to people in need. To date in 2016 Lodestone has financially supported SPCA and Prostrate Cancer via sponsorship of Mike Edgar, Design Cellar. I have delivered 8 hours of service to support people in their change.